When we submit our life to Jesus He gave us an incredible mission of getting to partner with Him to make Him known. But sometimes it can be overwhelming or unclear of what that is practically suppose to look like in our daily lives. So I put together a book with a ton of helpful resources to help you live on mission for the glory of God. But our mission here at Missional Women is to help women live on mission for the glory of God so we want to give it to our subscribers for FREE. If you want to receive a weekly update of helpful articles and free resources (and a kindle or PDF of Missional Life) sign up here and get your free kindle or pdf copy. Want to read more of Laura's books. 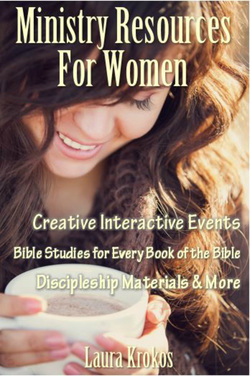 Check out the Missional Women Store.